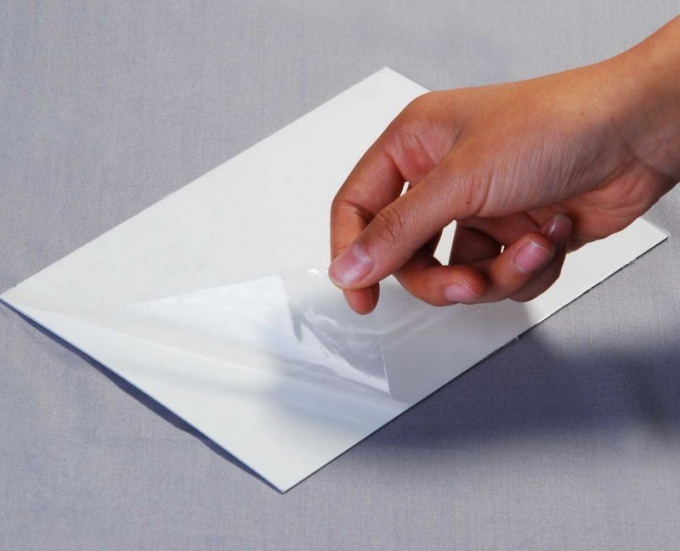 The protective film used by manufacturers of various goods for transport to the final consumer. It helps to protect products from all kinds of damages during transportation of goods. Depending on the type of product you apply ways of skinning. Protective film installed on the Windows. This helps to protect glass and plastic from various damages during transportation and installation. If the film has recently been installed on the product and have not undergone transformation, you can remove it by dragging any edge. In the event of difficulties you can pick any edge of the adhesive surface with something sharp – a small knife blade or thin spatula. To remove the film from plastic, you have to use a special chemical solvents. Wet the surface coated with the protective layer, and alcohol solvent. You can use liquid "white Spirit". It is also allowable to coat the surface with alcohol or vodka. Wait for a while to the solvent began chemical interaction with adhesive backing. Then use a thin spatula to scrape off the film from the surface. In that case, if all the glue to remove failed, try to make the procedure again. For removing tinting film from the glass you'll need a Hairdryer. Bring the device to the surface and start uniform heating at a distance of 8-10 cm from the glass. After heating, you can begin the process of peeling by pulling one of the corners of the coating. You can also lower the glass to heat in hot water, after which the film will be shot as easily. If the glass is cold before you start to remove the protective layer you need to repeat the heating once more, as to remove the tinted glass with a cold surface pretty hard. If you remove the protective film from the screen of the phone, just pick up one of its corners with fingernail. Carefully lift the cover and then pull in the right direction. If you remove the tape, do not try to use any chemicals – they can damage the fragile screen of the device. Try to pry the film from any other angle or continue to use the device as long as the protective layer begin to flake off as it does not interfere with the normal functioning of the device and is able to protect the display from scratches and other damage.